It's that time of the month again... you guessed it, Bellabox time! This month is incredibly exciting because for the first time ever, they are featuring the coolest brand! But I won't spoil it yet. Keep reading to find out. This month, the theme was Future Proof. How exciting does that sound? 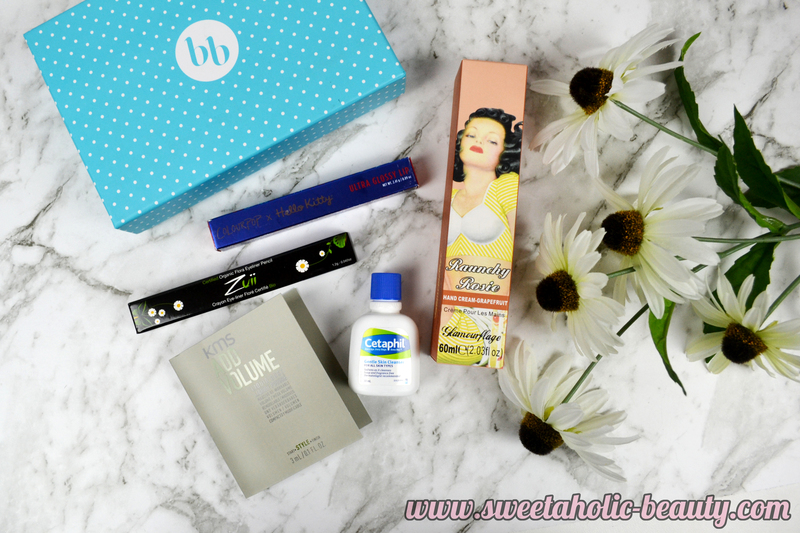 This month there was only five products in my box, but only one of them was a sachet size product. Three products were full sized, which is great. Do you spy the awesome brand yet? The first product that jumped out at me was the Glamourflage Raunchy Rosie Grapefruit Hand Cream. Not only is the design gorgeous but it also smells amazing. Straight in the handbag with that one! We also got a Zuii Crayon Eyeliner in Brown. 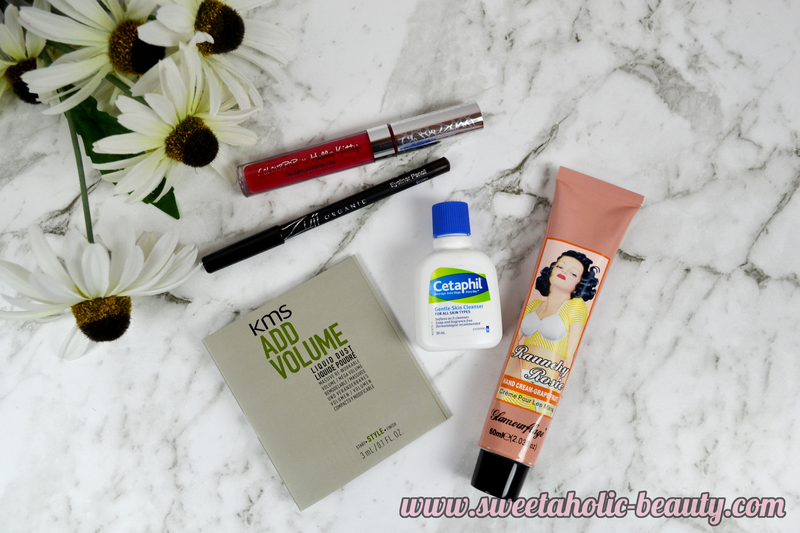 I love brown eyeliner so I'm glad to get something aside from black. This eyeliner is also completely organic, which is fabulous. There was also a deluxe sample size of the Cetaphil Gentle Skin Cleanser, which is a great cleanser. This is the perfect size to pop into my travel bag. We also got the sample size product of the KMS Add Volume Liquid Dust. Not sure what that's supposed to be, but it is a little phial with liquid in it. Hey, anything to help with volume; I'm willing to try! 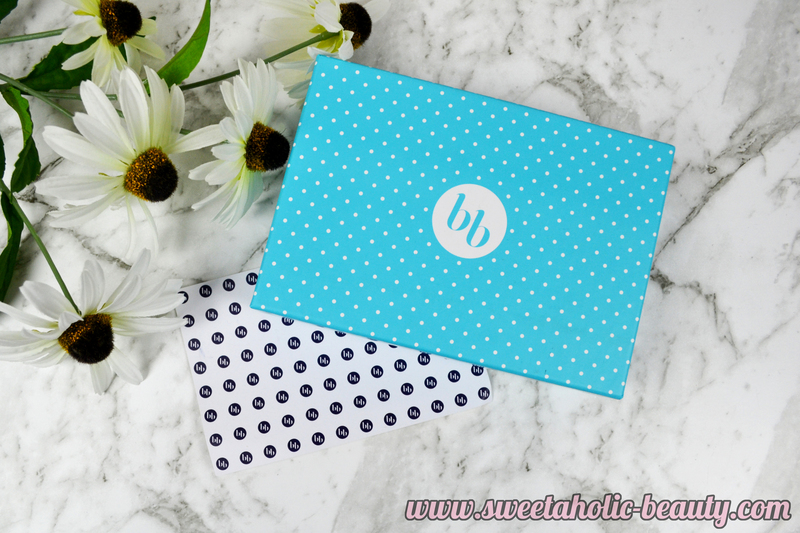 Last but absolutely not least, the famous brand ColourPop was also included in this months box. How awesome is that? 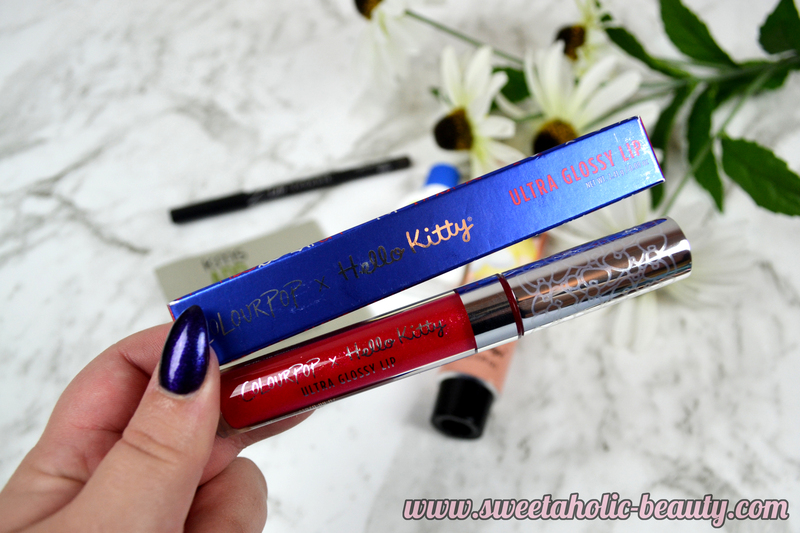 I was lucky enough to get the limited edition ColourPop x Hello Kitty Ultra Glossy Lip in Trinkets. This was one of the shades I luckily didn't already purchase. It's gorgeous and I can't wait to start wearing it. Wow, what a fantastic box. Although there were technically fewer items, the quality of the items has absolutely increased which makes it worth it to me. I'm super excited to see ColourPop included in this month's box and hopefully, this will be a regular brand. 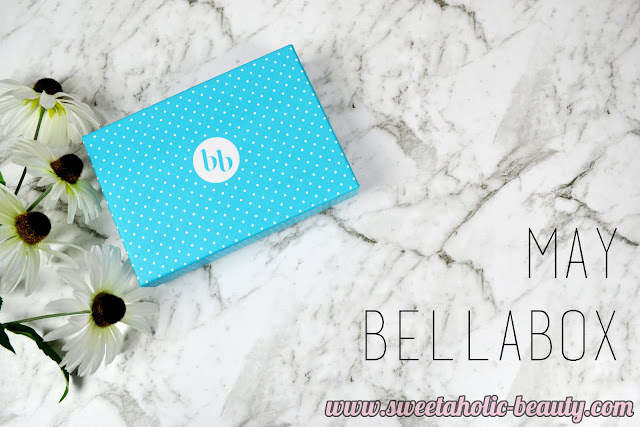 Did you receive your Bellabox yet? If so, what are your thoughts?